Christianization (or Christianisation) is the conversion of individuals to Christianity or the conversion of entire groups at once. Various strategies and techniques were employed in Christianization campaigns from Late Antiquity and throughout the Middle Ages. Often the conversion of the ruler was followed by the compulsory baptism of his subjects. Some were evangelization by monks or priests, organic growth within an already partly Christianized society, or by campaigns against paganism such as the conversion of pagan temples into Christian churches or the condemnation of pagan gods and practices. A strategy for Christianization was Interpretatio Christiana – the practice of converting native pagan practices and culture, pagan religious imagery, pagan sites and the pagan calendar to Christian uses, due to the Christian efforts at proselytism (evangelism) based on the Great Commission. Reformatting native religious and cultural activities and beliefs into a Christianized form was officially sanctioned; preserved in the Venerable Bede's Historia ecclesiastica gentis Anglorum is a letter from Pope Gregory I to Mellitus, arguing that conversions were easier if people were allowed to retain the outward forms of their traditions, while claiming that the traditions were in honor of the Christian God, "to the end that, whilst some gratifications are outwardly permitted them, they may the more easily consent to the inward consolations of the grace of God". In essence, it was intended that the traditions and practices still existed, but that the reasoning behind them was altered. The existence of syncretism in Christian tradition has long been recognized by scholars. Since the 16th century and till modern days, significant scholarship was devoted to deconstruction of interpretatio christiana, i.e., tracing the roots of some Christian practices and traditions to paganism. Early works of this type have tended to be downplayed and even dismissed as a form of Protestant apologetics aimed at "purification" of Christianity. 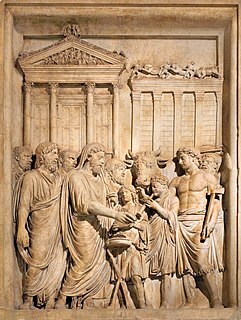 The Council of Jerusalem (around 50 AD), according to Acts 15, agreed that lack of circumcision could not be a basis for excluding Gentile believers from membership in the Jesus community. Rather, they instructed new believers to avoid "pollution of idols, fornication, things strangled, and blood" (KJV, Acts 15:20-21), expecting them to hear Moses read on the Sabbath days. These clarifications were put into writing, distributed (KJV, Acts 16:4-5) by messengers present at the Council, and were received as an encouragement to the growth of these gentiles' trust in the God of Israel as revealed in the Gospel. The Apostolic Decree thus helped to establish nascent Christianity as a unique alternative among the forms of Judaism for prospective Proselytes. The Twelve Apostles and the Apostolic Fathers initiated the process of transforming the originally Jewish sect into a diaspora of communities composed of both Jews and gentiles, united by their trust in Jesus. The Armenian, Georgian and Ethiopian churches are the only instances of imposition of Christianity by sovereign rulers predating the council of Nicaea. 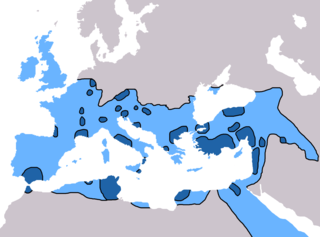 The initial conversion of the Roman Empire occurred mostly in urban areas of Europe, where the first conversions were sometimes among members of the Jewish population. Later conversions happened among the Grecian-Roman-Celtic populations over centuries, often initially among its urban population, with rural conversions taking place some time later. The term "pagan" is from Latin and means "villager, rustic, civilian." It is derived from this historical transition. The root of that word is present in today's word "paisan" or "paisano". The Christianization of the Roman Empire is typically divided into two phases, before and after the year 312, which marked the momentous conversion (sincere or not debated for centuries) of Constantine. By this date, Christianity had already converted a significant but unknown proportion of at least the urban population of the empire including a small number of the elite classes. Constantine ended the intermittent persecution of Christianity with the Edict of Milan, in fact a quote from a letter of the emperor Licinius by Eusebius, which granted tolerance to all religions, but specifically mentions Christianity. Under Constantine's successors, Christianization of Roman society proceeded by fits and starts, as John Curran documented in detail. Constantine's sons banned pagan state religious sacrifices in 341, but did not close the temples. Although all state temples in all cities were ordered shut in 356, there is evidence that traditional sacrifices continued. Under Julian, the temples were reopened and state religious sacrifices performed once more. When Gratian, emperor 376-383, declined the office and title of Pontifex Maximus, his act effectively brought an end to the state religion due to the position's authority and ties within the Imperial administration. Again, however, this process ended state official practices but not private religious devotion. As Christianity spread, many of the ancient pagan temples were defiled, sacked, destroyed, or converted into Christian sites by such figures as Martin of Tours, and in the East often by militant monks. 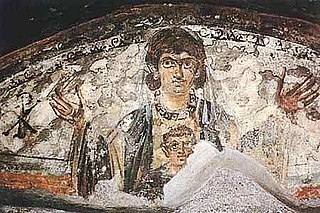 However, many temples remained open until Theodosius I's edict of Thessalonica in 381 banned haruspices and other pagan religious practices. From 389 to 393 he issued a series of decrees which led to the banning of pagan religious rites, and the confiscation of their property and endowments. The Olympic Games were banned in 392 because of their association with the old religion. Further laws were passed against remaining pagan practices over the course of the following years. The effectiveness of these laws empire-wide is debatable. Christianization of the central Balkans is documented at the end of the 4th century, where Nicetas the Bishop of Remesiana brought the gospel to "those mountain wolves", the Bessi. Reportedly his mission was successful, and the worship of Dionysus and other Thracian gods was eventually replaced by Christianity. 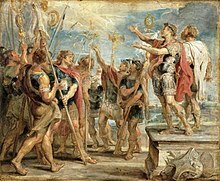 A turning point came after the Battle of the Frigidus of 395, ending the last serious attempt at a pagan revival in the now Christianized Roman Empire. After the defeat of Eugenius, the conservative pagan families of Rome gave up their resistance to Christianity and began to re-invent themselves to maintain their social leadership. By this time the Christian hierarchy had adopted classical education and culture as the marks of the civilized person, thus bringing the two social groups into alliance. Under the regency of Stilicho (395-408), some paganism was still tolerated, but later in the 5th century, legislation against pagan possessions, and other pagan practices, became increasingly strict. There appear to have been later attempts at a pagan revival, in 456 in circles surrounding the general Marcellinus and under Anthemius (r. 467-472), but these came to nothing. Marcian in 451 put the death penalty on the practice on pagan rites, and Leo I in 472 reinforced this by penalizing anyone who was aware that pagan rites were performed on his property. In most of Britain, the native Britons were already partly Christianized by the time of the Anglo-Saxon settlement of Britain; it is not clear how thorough this process had been. Ireland, and parts of Scotland, had been converted by the Romano-British Christians, led by Saint Patrick. However, ecclesiastics of the time such as the British Gildas and later Anglo-Saxon Bede, criticized them for generally refusing to work at all for the conversion of the Anglo-Saxons, in fact many were absorbed into the religion and culture of the new settlers. The conversion of the Anglo-Saxons was begun at about the same time at the far north and south of the Anglo-Saxon kingdoms in two unconnected initiatives. Irish missionaries led by Saint Columba based in Iona (from 563) and elsewhere, converted many Picts. The court of Anglo-Saxon Northumbria, and the Gregorian mission, who landed in 596, did the same to the Kingdom of Kent. They had been sent by Pope Gregory I and were led by Augustine of Canterbury with a mission team from Italy. In both cases, and in other kingdoms, the conversion was generally "top down", with the royal family and nobility adopting the new religion first. The Viking invasions of Britain and Ireland destroyed many monasteries and new Viking settlers restored paganism—though of a different variety to the Saxon or classical religions—to areas such as Northumbria and Dublin for a time before their own conversion. The Germanic peoples underwent gradual Christianization in the course of the Early Middle Ages, resulting in a unique form of Christianity known as Germanic Christianity that was frequently some blend of Arian Christianity and Germanic paganism. The Eastern and Western tribes were the first to convert through various means. However, it would not be until the 12th century that the North Germanic peoples had Christianized. In the polytheistic Germanic tradition, it was possible to worship Jesus next to the native gods like Woden and Thor. Before a battle, a pagan military leader might pray to Jesus for victory, instead of Odin, if he expected more help from the Christian God. According to legend, Clovis had prayed thus before a battle against one of the kings of the Alemanni, and had consequently attributed his victory to Jesus. The Christianization of the Franks laid the foundation for the further Christianization of the Germanic peoples. The next impulse came from the edge of Europe. Although Ireland had never been part of the Roman Empire, Christianity had come there and developed, largely independently, into Celtic Christianity. The Irish monks had developed a concept of peregrinatio. This essentially meant that a monk would leave the monastery and his Christian country to proselytize among the heathens. From 590 onwards, Irish missionaries were active in Gaul, Scotland, Wales and England. During the Saxon Wars, Charlemagne, King of the Franks, Christianized the Saxons by way of warfare and law upon conquest. Great Moravia and its successor state Duchy of Bohemia were founded by West Slavs in Central Europe in 9th century. The territory of Great Moravia was originally evangelized by missionaries coming from the Frankish Empire or Byzantine enclaves in Italy and Dalmatia since the early 8th century and sporadically earlier. The first Christian church of the Western and Eastern Slavs known to the written sources was built in 828 by Pribina, the ruler and Prince of the Principality of Nitra, although probably still a pagan himself, in his possession called Nitrava (today Nitra, Slovakia). The first Moravian ruler known by name, Mojmír I, was baptized in 831 by Reginhar, Bishop of Passau. Despite the formal endorsement by the elites, the Great Moravian Christianity was described as containing many pagan elements as late as in 852. The Church organization in Great Moravia was supervised by the Bavarian clergy until the arrival of the Byzantine missionaries Saints Cyril and Methodius in 863, upon Prince Rastislav's request. Cyril developed the first Slavic alphabet and translated the Gospel into the Old Church Slavonic language. Foundation of the first Slavic bishopric (870), archbishopric (880), and monastery was the politically relevant outcome of the Byzantine mission. In 880, Pope John VIII issued the bull Industriae Tuae, by which he set up an independent ecclesiastical province in Great Moravia with Archbishop Methodius as its head. He also named the German cleric Wiching the Bishop of Nitra, and Old Church Slavonic was recognized as the fourth liturgical language, along with Latin, Greek and Hebrew. After its establishment under Khan Asparukh in 681, Bulgaria retained the traditional Bulgar religion Tengriism and the pagan beliefs of the local Slavic population. In the mid-9th century, Boris I decided to establish Christianity as a state religion in Bulgaria. 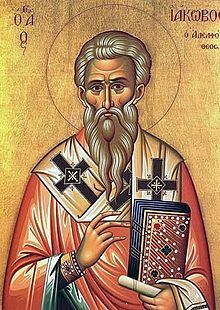 In 864, he was baptized in the capital Pliska by Byzantine priests. After prolonged negotiations with both Rome and Constantinople, he managed to create an autocephalous Bulgarian Orthodox Church and used the newly created Cyrillic script to make the Bulgarian language the language of the Church. Christianity was challenged during the rule of his first-born son, Vladimir-Rasate (889-893), who decided to return to the old Bulgarian religion. Boris I, who had previously retired to a monastery, led a rebellion against his son and defeated him. At the counsel of Preslav in 893, his third son, Simeon I who was born after the Christianization, was installed on the throne and the capital was moved from Pliska to Preslav as a symbol of the abolition of the old religion. Simeon I led a series of wars against the Byzantines to gain official recognition of his Imperial title and the full independence of the Bulgarian Church. As a result of his victories in 927, the Byzantines finally recognized the Bulgarian Patriarchate. The Serbs were baptised during the reign of Heraclius (610–641) by "elders of Rome" according to Constantine Porphyrogenitus in his annals (r. 913–959). In 733, Leo III attaches Illyricum to Patriarch Anastasius of Constantinople. The establishment of Christianity as state religion dates to the time of Eastern Orthodox missionaries Saints Cyril and Methodius during Basil I (r. 867–886), who baptised the Serbs sometime before sending imperial admiral Nikita Orifas to Knez Mutimir for aid in the war against the Saracens in 869, after acknowledging the suzerainty of the Byzantine Empire. The fleets and land forces of Zahumlje, Travunia and Konavli (Serbian Pomorje) were sent to fight the Saracens who attacked the town of Ragusa (Dubrovnik) in 869, on the immediate request of Basil I, who was asked by the Ragusians for help. A Serbian bishopric (Diocese of Ras) may have been founded in Stari Ras in 871 by Serbian Knez Mutimir, confirmed by the Council of Constantinople in 879–80. The adherence is evident in the tradition of theophoric names in the next generation of Serbian monarchs and nobles; Petar Gojniković, Stefan Mutimirović, Pavle Branović. Mutimir maintained the communion with the Eastern Church (Constantinople) when Pope John VIII invited him to recognize the jurisdiction of the bishopric of Sirmium. The Serbs adopt the Old Slavonic liturgy instead of the Greek. By the 870s, the Serbs were baptized and had established the Eparchy of Ras, on the order of Emperor Basil I. The "Baptism of Poland" (Polish: Chrzest Polski) in 966, refers to the baptism of Mieszko I, the first ruler of a future united Polish state. His baptism was followed by the building of churches and the establishment of an ecclesiastical hierarchy. Mieszko saw baptism as a way of strengthening his hold on power, with the active support he could expect from the bishops, as well as a unifying force for the Polish people. Mieszko's action proved highly successful because by the 13th century, Roman Catholicism had become the dominant religion in Poland. In the Middle Ages, the Kingdom of Hungary (which was larger than modern day Hungary) was Christianized initially by Greek monks sent from Constantinople to convert the pagan Hungarians. In 950, the tribal chief, Gyula II of Transylvania, visited Constantinople and was baptized. Gyula also had his officers and family baptized under the Orthodox confession. The conversion of the Hungarian people was not completed until the reign of Gyula's grandson, King Stephen I of Hungary. Stephen was the son of Grand Prince Géza of Hungary and Sarolt, the daughter of Gyula II. His authority as leader of the Hungarian tribal federation was recognized with a crown from Pope Sylvester II. King Stephen converted the nomadic barbarian tribes of the Hungarians and induced them to sedentary culture. The conversion of Hungary is said to have been completed by the time of Stephen's death in 1038. Soon the Hungarian Kingdom counted with two archbishops and 8 bishops, a defined state structure with province governors that answered to the King. In the other hand, Saint Stephen opened the frontiers of his Kingdom in 1016 to the pilgrims that traveled by land to the Holy Land, and soon this route became extremely popular, being used later in the Crusades. Saint Stephen was the first Hungarian monarch that was elevated to the sanctity for his Christian characteristics and not because he suffered a martyr death. Between the 8th and the 13th century, the area of what now is European Russia, Belarus and Ukraine was settled by the Kievan Rus'. An attempt to Christianize them had already been made in the 9th century, with the Christianization of the Rus' Khaganate. In the 10th century, around 980, the efforts were finally successful when Vladimir the Great was baptized at Chersonesos. To commemorate the event, Vladimir built the first stone church of Kievan Rus', called the Church of the Tithes, where his body and the body of his new wife were to repose. Another church was built on top of the hill where pagan statues stood before. The Christianization of Scandinavia started in the 8th century with the arrival of missionaries in Denmark and it was at least nominally complete by the 12th century, although the Samis remained unconverted until the 18th century. In fact, although the Scandinavians became nominally Christian, it would take considerably longer for actual Christian beliefs to establish themselves among the people. The old indigenous traditions that had provided security and structure since time immemorial were challenged by ideas that were unfamiliar, such as original sin, the Immaculate Conception, the Trinity and so forth. Archaeological excavations of burial sites on the island of Lovön near modern-day Stockholm have shown that the actual Christianization of the people was very slow and took at least 150–200 years, and this was a very central location in the Swedish kingdom. 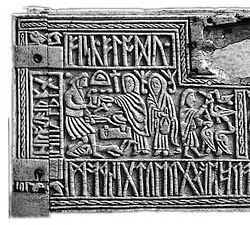 Thirteenth-century runic inscriptions from the bustling merchant town of Bergen in Norway show little Christian influence, and one of them appeals to a Valkyrie. At this time, enough knowledge of Norse mythology remained to be preserved in sources such as the Eddas in Iceland. The Northern Crusades (or "Baltic Crusades") were crusades undertaken by the Catholic kings of Denmark and Sweden, the German Livonian and Teutonic military orders, and their allies against the pagan peoples of Northern Europe around the southern and eastern shores of the Baltic Sea. Swedish and German campaigns against Russian Eastern Orthodox Christians are also sometimes considered part of the Northern Crusades. Some of these wars were called crusades during the Middle Ages, but others, including most of the Swedish ones, were first dubbed crusades by 19th-century romantic nationalist historians. Lithuania and Samogitia were ultimately Christianized from 1386 until 1417 by the initiative of the Grand Duke of Lithuania Jogaila and his cousin Vytautas. Between 711–718 the Iberian peninsula had been conquered by Muslims in the Umayyad conquest of Hispania. Between 722 (see: Battle of Covadonga) and 1492 (see: the Conquest of Granada) the Christian Kingdoms that later would become Spain and Portugal reconquered it from the Moorish states of Al-Ándalus. The notorious Spanish Inquisition and Portuguese Inquisition were not installed until 1478 and 1536 when the Reconquista was already (mostly) completed. 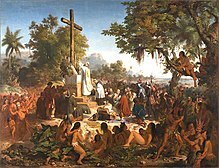 "First Mass in Brazil". painting by Victor Meirelles. 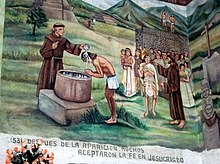 The expansion of the Catholic Portuguese Empire and Spanish Empire with a significant role played by Catholic missionaries led to the Christianization of the indigenous populations of the Americas such as the Aztecs and Incas. A large number of churches were built. Later waves of colonial expansion such as the Scramble for Africa or the struggle for India, by the Netherlands, Britain, France, Germany and Russia led to Christianization of other native populations across the globe such as the Indigenous peoples of the Americas, Filipinos, Indians and Africans led to the expansion of Christianity eclipsing that of the Roman period and making it a truly global religion. The colonies which later became the United States were largely colonized by England, and therefore their colonists were predominantly Protestant. Even colonists with non-English backgrounds—Scots, Scotch Irish, Germans, Dutch, French, and Swedes—were mostly from Protestant countries in Northern Europe. Thus Protestantism as a religious force shaped the mind of pre-independence colonial America. By the 1790 Census, the total immigration over the approximately 130-year span of colonial existence of the U.S. colonies was summarized as: 3.9 million total, comprising 2.56 million British, 0.76 million African, and 0.58 million "other" who probably included a large proportion of people with poorly recorded English ancestry. It was not until the nineteenth century that Roman Catholics became a numerically significant segment of American life, mainly due to large-scale immigration from Ireland (driven by the Great Famine from 1845 onward) and countries in Southern Europe (partly due to farming improvements which created surplus labor), and absorption of territories originally colonized or influenced by Catholic countries such as Spain. In 1908 Pope Pius X declared that the United States was no longer a missionary territory for Roman Catholicism. By this time the Roman Catholic church was well established enough to stake a place for itself in the American religious landscape. It was about 15 million strong by 1901. Thus, the church adopted a mission to Christianize other cultures. On November 16, 1908, a missionary conference was held in Chicago to mark the transition from becoming a church that received missionary help to a church that sends it. Attendees included Boston's Archbishop William H. O'Connell and Chicago's Archbishop James Edward Quigley, who called attention to the "new era" into which the church in America now entered. Many Christian churches were built upon sites already consecrated as pagan temples or mithraea, the church of Santa Maria sopra Minerva (literally Saint Mary above Minerva) in Rome being simply the most obvious example, though a period of about 350 years of abandonment intervened between temple and church in this case. 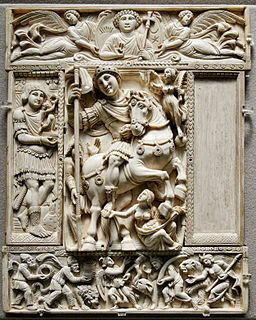 Sulpicius Severus, in his Vita of Martin of Tours, a dedicated destroyer of temples and sacred trees, remarks "wherever he destroyed heathen temples, there he used immediately to build either churches or monasteries", and when Benedict took possession of the site at Monte Cassino, he began by smashing the sculpture of Apollo and the altar that crowned the height. The British Isles and other areas of northern Europe that were formerly druidic are still densely punctuated by holy wells and holy springs that are now attributed to some saint, often a highly local saint unknown elsewhere; in earlier times many of these were seen as guarded by supernatural forces such as the melusina, and many such pre-Christian holy wells appear to survive as baptistries. Not all pre-Christian holy places were respected enough for them to survive, however, as most ancient European sacred groves, such as the pillar Irminsul, were destroyed by Christianizing forces. During the Reconquista and the Crusades, the cross served the symbolic function of possession that a flag would occupy today. At the siege of Lisbon in 1147, when a mixed group of Christians took the city, "What great joy and what a great abundance there was of pious tears when, to the praise and honor of God and of the most Holy Virgin Mary the saving cross was placed atop the highest tower to be seen by all as a symbol of the city's subjection." The historicity of several saints has often been treated sceptically by most academics, either because there is a paucity of historical evidence for them, or due to striking resemblances that they have to pre-Christian deities. In 1969 the Roman Catholic Church removed some Christian Saints from its universal calendar and pronounced the historicity of others to be dubious. Though highly popular in the Middle Ages, many of these saints have since been largely forgotten, and their names may now seem quite unfamiliar. The most prominent amongst these is Saint Eustace, who was extremely popular in earlier times, but whom Laura Hibberd sees as a chimera composed from details of several other Saints. Many of these figures of dubious historicity appear to be based on figures from pre-Christian myth and legend, Saint Sarah, for example, also known as Sarah-la-Kali, is thought by Ronald Lee to be a Christianization of Kali, a Hindu deity. The cross is currently the most common symbol of Christianity, and has been for many centuries, coming to prominence during the 4th century (301 to 400 AD). The predecessor of the cross as the main Christian symbol was the labarum, a symbol formed by overlaying the first two letters of the Greek word for Christ in the Greek alphabet. Constantine I is widely considered to have introduced the symbol into Christianity, but the symbol itself predates this. Although Christian tradition argues that Constantine chose the labarum because he had a vision that led him to convert to Christianity, Constantine's conversion is disputed by some historians, who see Constantine's motive for choosing the labarum as political, with him deliberately making his banner one which could be interpreted as supporting either of the two major religions of the Roman Empire at the time. Prior to the labarum, the main Christian symbol, and the earliest, was a fish-like symbol now known as Ichthys (the Greek word for fish); the Greek word ιχθυς is an acronym for the phrase transliterated as "Iesou Christos Theou Yios Sotiras", that is, "Jesus Christ, God's Son, the Savior". There are several other connections with Christian tradition relating to this choice of symbol: that it was a reference to the feeding of the multitude; that it referred to some of the apostles having previously been fishermen; or that the word Christ was pronounced by Jews in a similar way to the Hebrew word for fish (though Nuna is the normal Aramaic word for fish, making this seem unlikely). ^ Bede (2007) . The Ecclesiastical History of the English Nation. Translated by Jane, L. C. New York: Cosimo Classics. p. 53. ISBN 9781602068322. Retrieved 16 September 2017. ^ Examples include the Massacre of Verden in 782, during which Charlemagne reportedly had 4,500 captive Saxons massacred upon rebelling against conversion, and the Capitulatio de partibus Saxoniae, a law imposed on conquered Saxons in 785 which prescribes death to those that refuse to convert to Christianity. ^ For the Massacre of Verden, see Barbero, Alessandro (2004). Charlemagne: Father of a Continent, page 46. University of California Press. For the Capitulatio de partibus Saxoniae, see Riché, Pierre (1993). The Carolingians. University of Pennsylvania Press. ISBN 978-0-8122-1342-3. ^ Stanislav, Ján (1934). Životy slovanských apoštolov Cyrila a Metoda. Panonsko-moravské legendy. Bratislava, Praha: Vydané spoločne nakladateľstvom Slovenskej ligy a L. Mazáča. Archived from the original on 2008-03-25. Retrieved 2009-10-09. ^ Bartoňková Dagmar; et al., eds. (1969). "Libellus de conversione Bagoariorum et Carantanorum (i.e. Conversio)". Magnae Moraviae fontes historici III. Praha: Statni pedagogicke nakl. ^ Barford, P. M. (2001). The early Slavs : culture and society in early medieval Eastern Europe. Ithaca, NY: Cornell University Press. ^ a b Philip Schaff. History of the Christian Church, Volume IV: Mediaeval Christianity. A.D. 590-1073. CCEL. pp. 161–162. ISBN 978-1-61025-043-6. Retrieved 15 June 2013. ^ A collection of dated Byzantine lead seals, page 47: "733... Church of Constantinople"
^ "Vladimir Corovic: Istorija srpskog naroda". Rastko.rs. Retrieved 2012-01-12. ^ Vlasto, A. P. (1970-10-02). The entry of the Slavs into Christendom: an introduction to the medieval ... - A. P. Vlasto - Google Boeken. ISBN 9780521074599. Retrieved 2012-01-12. ^ a b Christiansen, Erik (1997). The Northern Crusades. London: Penguin Books. p. 287. ISBN 978-0-14-026653-5. ^ Hunyadi, Zsolt; József Laszlovszky (2001). The Crusades and the Military Orders: Expanding the Frontiers of Medieval Latin Christianity. Budapest: Central European University Press. p. 606. ISBN 978-963-9241-42-8. Balmer, Randall (2001). Religion in Twentieth Century America. ISBN 0-19-511295-4. Gaustad, Edwin Scott; Noll, Mark (2003). A Documentary History of Religion in America Since 1877. ISBN 0-80-282230-4. Živković, Tibor (2007). "The Golden Seal of Stroimir" (PDF). Historical Review. 55: 23–29. Jorge Quiroga and Monica R. Lovelle, "Ciudades atlánticas en transición: La "ciudad" tardo-antigua y alto-medieval en el noroeste de la Península Ibérica (s.V-XI)" from Archeologia Medievale vol xxvii (1999), pp 257–268 Christianizing Late Antique Roman sites from the 6th century onwards. Mellitus was the first Bishop of London in the Saxon period, the third Archbishop of Canterbury, and a member of the Gregorian mission sent to England to convert the Anglo-Saxons from their native paganism to Christianity. He arrived in 601 AD with a group of clergy sent to augment the mission, and was consecrated as Bishop of London in 604. Mellitus was the recipient of a famous letter from Pope Gregory I known as the Epistola ad Mellitum, preserved in a later work by the medieval chronicler Bede, which suggested the conversion of the Anglo-Saxons be undertaken gradually, integrating pagan rituals and customs. In 610, Mellitus returned to Italy to attend a council of bishops, and returned to England bearing papal letters to some of the missionaries. The Christianization of Scandinavia as well as other Nordic countries and the Baltic countries, took place between the 8th and the 12th centuries. The realms of Denmark, Norway and Sweden established their own Archdioceses, responsible directly to the Pope, in 1104, 1154 and 1164, respectively. 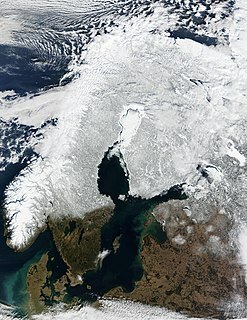 The conversion to Christianity of the Scandinavian people required more time, since it took additional efforts to establish a network of churches. The Sami remained unconverted until the 18th century. Newer archaeological research suggests there were Christians in Götaland already during the 9th century, it is further believed Christianity came from the southwest and moved towards the north.